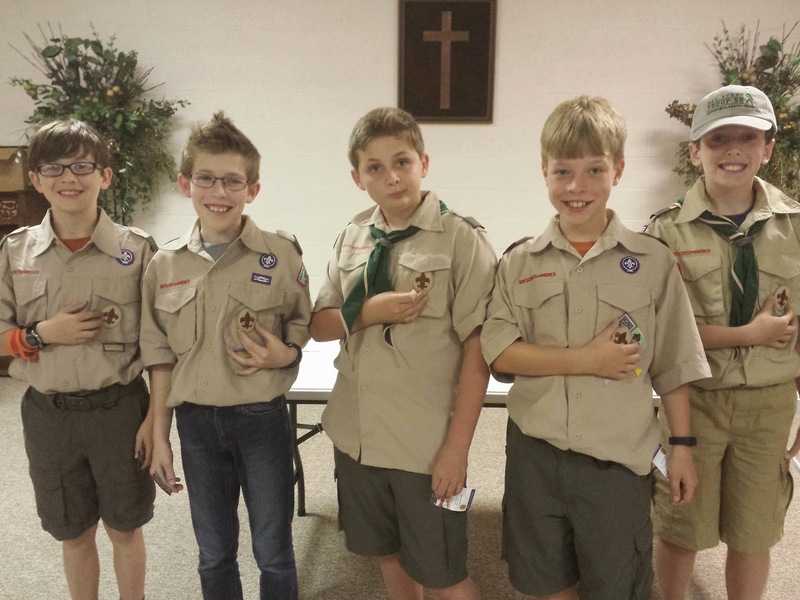 The troop's five newest members arrived at Monday's night's meeting as official members of the troop — having crossed over from Pack 29 to Boy Scouts on April 10 — and left the meeting with not only their patrol assignments, but with the Scout rank in hand. 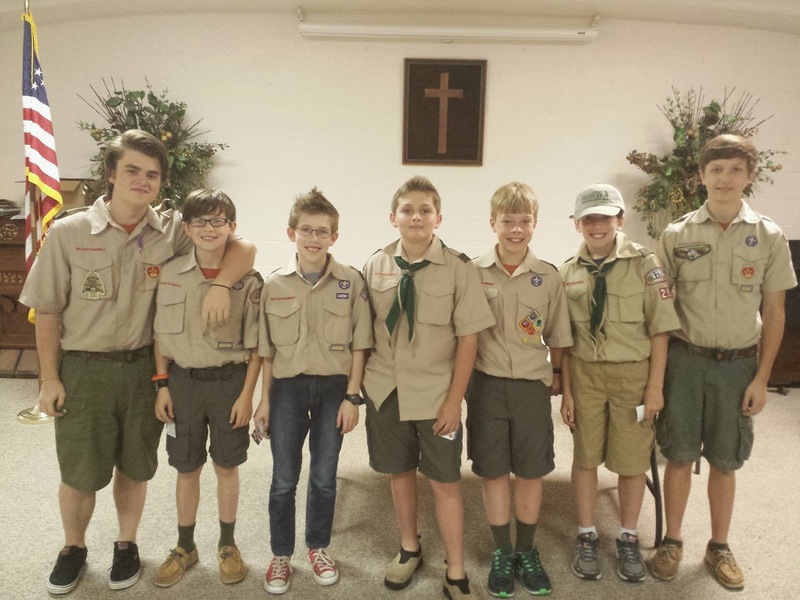 The five received their Scout rank patches from Senior Patrol Leader Andrew and Assistant Patrol Leader Will at the conclusion of the evening's meeting. are (left to right): Trey, Carl, Zach, Hunter, and Miles. Carl, Trey and Hunter are now members of the Carnivorous Pandas Patrol, and Zach and Miles are members of the Outdoorsmen Patrol. And, for our parents who may not know where to put the newest patch in their sons' collection, here's a hint!